Review: Is there an actor working today more insane and more gutsy than Tom Cruise? Here’s an actor who absolutely commits to his roles, including taking on some ludicrously dangerous, death defying stunts all in the name of some awesome entertainment. Climbing the tallest building in the world? Check. Fighting on top of a high speed train? check? Clinging on for dear life as a jet takes off with him on the outside? Check. On the basis of this evidence, the answer is yes, Tom Cruise is certainly one of the most barking mad actors in the business, but all the better for it, because it provides us cinema goers with some awesome high pulse action sequences and a thrilling movie that reminds us why we pay money to go watch these movies on the big screen. 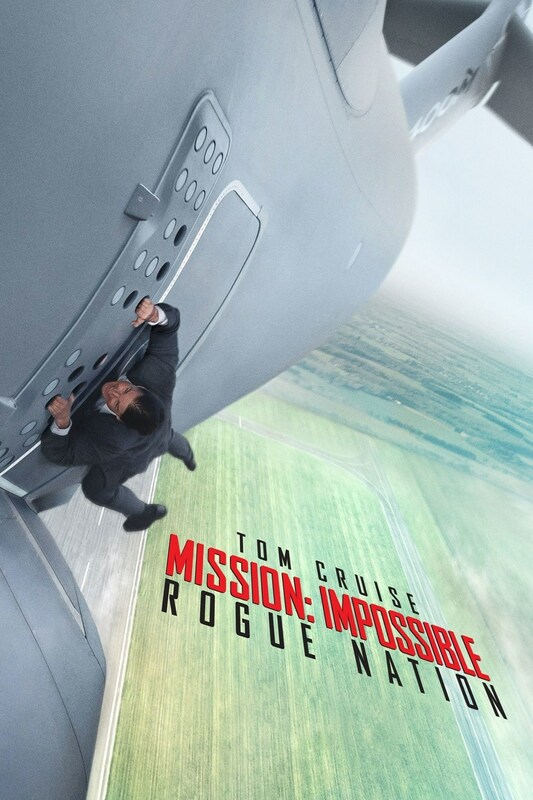 In what is his fifth outing as Ethan Hunt, Tom Cruise shows no signs of slowing down, He’s choosing to accept these missions, and we the audience are very grateful that he is. The MI franchise has had a few stutters on its way to its fifth outing. Yet the last picture, Ghost Protocol was a storming critical and commercial success, so Rogue Nation had much to live up to. However in the hands of Christopher McQuarrie, taking over directing duties from Bird Bird, the ship is well and truly afloat once more. This time, the team has the task of tracking the Syndicate, an organisation which ruthlessly carries out tasks with the intention of causing mass panic on a global scale, and much like in Ghost Protocol, they have to go it alone after they are disbanded by the CIA. Right out of the gate, the action on show is fantastic, from the enthralling opening sequence of the plane, as we saw in the trailer and on the poster, to a spectacular battle right in the middle of an opera show. There are more than enough action scenes to get the heart truly pounding, but through all of these impossibly plausible action scenes (clue is in the name) there is emotion that resonates throughout the story, similar to that of Ghost Protocol. Yes there is a lot of crazy and borderline ridiculous action going on, but the story packs heart in there. The audience cares about these characters, and feel on edge when they seem to be in extreme peril. Cruise, as usual, brings his A game to this movie and shines brightly. Yet a key theme of these movies has been the team element. Cruise is awesome, yes but the team play an important role in the mission as well. Simon Pegg, returning as Benji Dunn, effortlessly provides the comic relief once more, whilst also maintaining a very serious tone as the gravity of the situation they are in is fully realised. Taking over the role of femme fatale from Paula Patton is Rebecca Ferguson, who provides great charm and sexiness, whilst also being a very dangerous badass in a dress! Ving Rhames and Jeremy Renner are both back to complete the team line up, and together they all make a powerful ensemble. Previous MI villains haven’t always been the greatest, and it is certainly the franchise’s Achilles Heel. No one has really topped Phil Seymour Hoffman’s turn in MI 3. However, we are here presented with a much strong villain, with some more clear motives. Yet the series has really lacked that strong, powerful villain that is so often present in for instance the James Bond franchise. But take nothing away from Rogue Nation, it packs a lot of fun into its 130 minute running time, and with talk of a sixth film in the franchise in the works, Tom Cruise shows no signs of slowing down just yet. This is probably my second favourite behind Ghost Protocol, but still really enjoyed this film!